A School Where I Belong, written by Roy Hellenberg, Dylan Wray and Professor Jonathan Jansen, was launched at the Cape Town Central Library last week. A book that attempts to challenge unconscious bias in schools and create schools where all learners belong, ASWIB also leads workshops for schoolsâ€™ three primary groups: learners, staff and parents. All three men have decades of experience in education in a myriad of capacities. Professor Jansen currently teaches at Stellenbosch University and Hellenberg and Wray, former high school teachers, have committed to ASWIB on a full-time basis. In collaboration with Shikaya â€“ a local organisation that supports teachers and school leaders to help ensure young people leave schools thinking critically as well as engaged in public life as democratic citizens â€“ and Facing History and Ourselves â€“ an American organisation that helps students learn about hatred and bigotry so they can stop them from happening in the future â€“ ASWIB engage in hands-on work to tackle the issue of inclusion in schools. They ensure that the school communities they engage with both ask and grapple with difficult questions and Hellenberg asserts that unconscious bias is one of their primary focuses. â€œWeâ€™ve been doing this for just over two years and weâ€™ve worked with enough schools to be able to make an educated assumption of where the impact is. I believe the impact is really around the educators and leadership of the school and for many of them weâ€™re not talking about overt racism where they are calling kids monkeys and the k-word. Itâ€™s the unconscious bias, thatâ€™s the most debilitating and destructive issue that weâ€™ve had to contend with and making people aware of that and how it plays out in schools has been the biggest impact that weâ€™ve had to this point in time,â€ said Hellenberg, a former teacher at Groenvlei Senior Secondary, Silverstream Secondary and Rondebosch Boysâ€™ High. At least 60% of the teachers at the schools weâ€™ve gone to had never thought about their actions as being, in any way, bias against other racial groups. And of course that would be true because itâ€™s unconscious, itâ€™s implicit bias, itâ€™s in the tone of voice, itâ€™s in the smiles or lack of smiles, itâ€™s in the proximity that you stand to the person, how many times you ask them questions, all of those things.. If youâ€™re not even aware of it, why would you deal with something that doesnâ€™t exist,â€ said Hellenberg. Although Hellenberg, Wray and Jansen have all been intimately involved in education, the protests at San Souci Girlsâ€™ and Pretoria Girlsâ€™ was the spark to take their work further and to a more structured level. At the front of the launch sat a panel consisting of Hellenberg, Wray, a high-school teacher, who asked to be reference as Leah, and a former high school pupil, Sizwe Malinga. Leah and Sizwe were two from a group of dozens interviewed for the book and the ASWIB website. Sizwe and Leah spoke of the work that they were doing in schools and also offering their experiences of schools they respectively went to and teach at, as well as opinions on how they think schools can move forward towards inclusivity. And though the crisis of South Africaâ€™s education has been long documented in the democratic era, perhaps itâ€™s something that needs more than money. 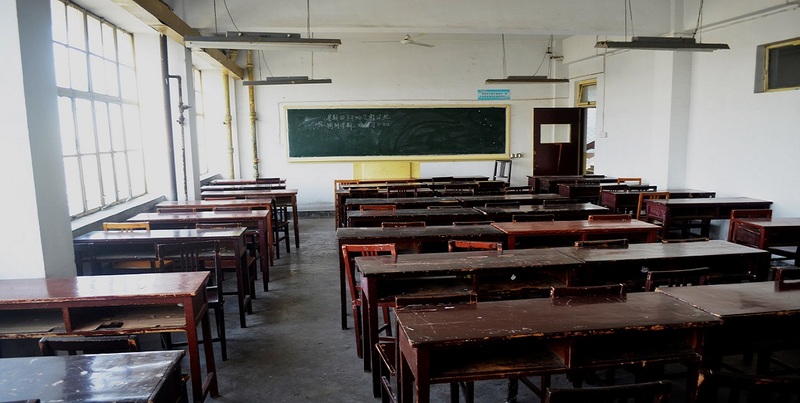 This year, the department of basic education was given a budget of R246.8 billion after the minister of finance explicated that it formed one of three national priorities for the year. However South African schools are not only critically underperforming in maths, sciences and literacy, but, according to Wray, are reproducing many of the ills the country is plagued with, like racial bias. Wray, the former head of history at Wynberg Girlsâ€™, stressed that schools are the ideal place to address these biases. â€œI think after Pretoria Girlsâ€™ stood up and let their voices be heard, it was clear that definitely model-C and private schools have been believing that theyâ€™re doing things right and that there are no problems. What Pretoria Girlsâ€™ showed was that at the vast majority of schools where integration happens, and we know thatâ€™s in a minority of schools in South Africa, but in those schools where it does happens thereâ€™s been an overarching bias towards assimilation to the school culture. Very little conscious effort has been put into ensuring that schools actually adapt to the changing dynamics and demographics of their learner-body. Schools havenâ€™t done that. I think schools for a large part have felt immune to what was happening around in society, while businesses, for example, have been forced to adopt employment equity positions and theyâ€™ve had to embrace, even if unwillingly,â€ said Wray, founder of Shikaya. Although businesses, as alluded to by Wray, can get away with a lack of sincerity in creating and promoting equitable employment and hiring options, schools hold the very future of the country in their hands. ASWIBâ€™s research has shown that not only is racial integration occuring in a minority of schools but also often in majority white schools â€“ which make up most of South Africaâ€™s private and infamous former model-C schools. Upward social mobility has seen many who were excluded from these schools during apartheid attempt to get their children into them. However, these are not the only schools where integration happens, as Hellenberg explained that heâ€™d conducted workshops at a previously coloured-majority school in Cape Town that has seen a significant growth in its black student population. What is clear is that people have been schooled in racial silos and the results thereof are desperately in need of undoing going forward. â€œIt doesnâ€™t help when a school is becoming increasingly racially diverse but the core group who controls the school is still feeding a westernised culture to the students. Then youâ€™re turning black people into â€˜coconutsâ€™ or â€˜better blacksâ€™ and itâ€™s not fair to them and itâ€™s not fair to their parents. Transform the space and make everyone, staff and learners, feel comfortable in the space,â€ said Sizwe Malinga, who attended an all-boys school in Durban. 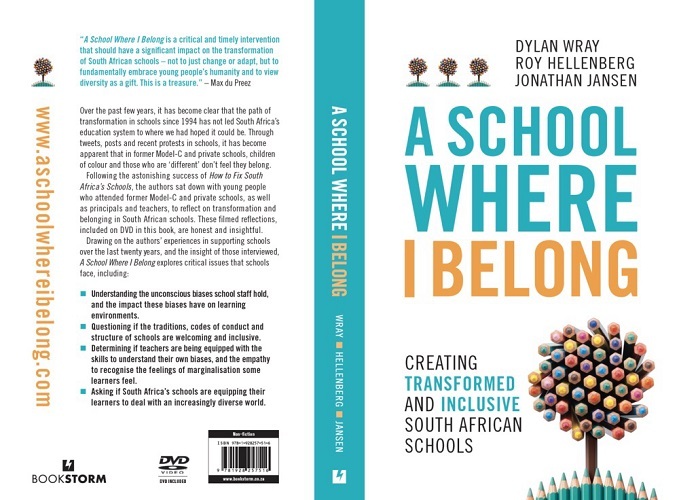 Should you wish to arrange a workshop at your school or purchase a copy of A School Where I Belong, you can find a copy here.